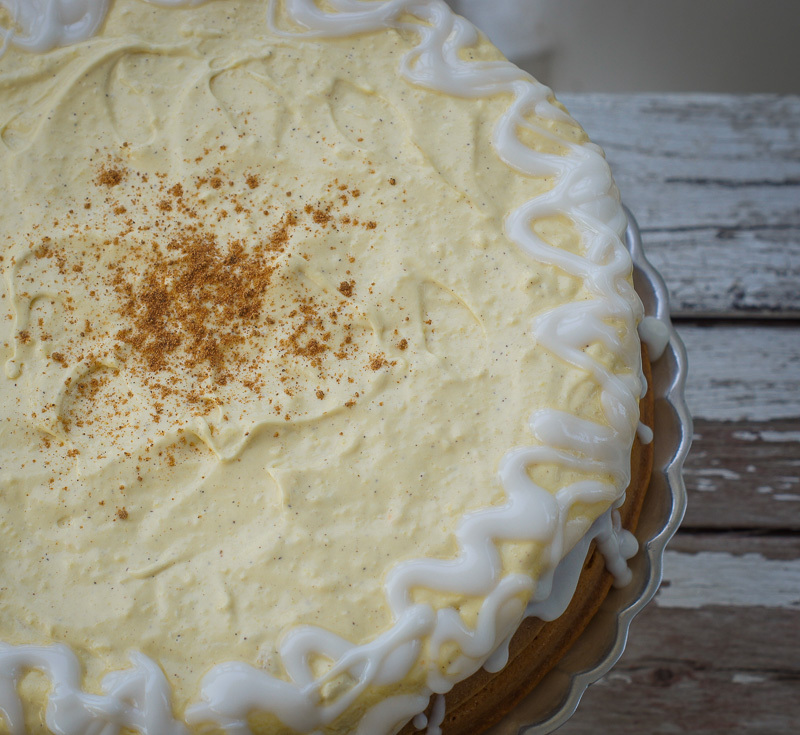 Ok….I admittedly am one of those autumn band-wagonners that LOVE all things pumpkin. How can you blame me? Especially after working for Starbucks for two years, I couldn’t NOT get into the pumpkin spice craze that left me craving lattes, muffins, breads, pies, and all things that taste like FALL. September is seriously my favorite time of year. Heck, I was born in September, married in September, and I wouldn’t mind going out in September….however, this post is going to be made in October…the next best month, because September was hella busy for me. I was in a musical, and began long-term substitute teaching, which, needless to say, left me virtually no time to post more blogs in that month. I wish I could make more. But unlike other full-time bloggers, this is not my only gig. I have a day job. And I have other hobbies outside of this. Don’t get me wrong—I LOVE to post recipes, but life is what happens to you when you’re busy making other plans. So apologies for not posting more last month! Let’s not waste any more time….and let’s get baking!!! 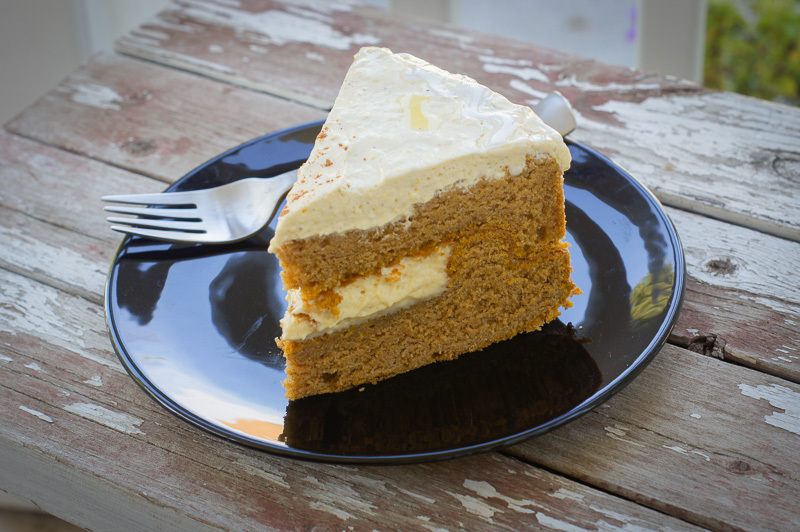 I have seen many a different pumpkin spice cake out there. 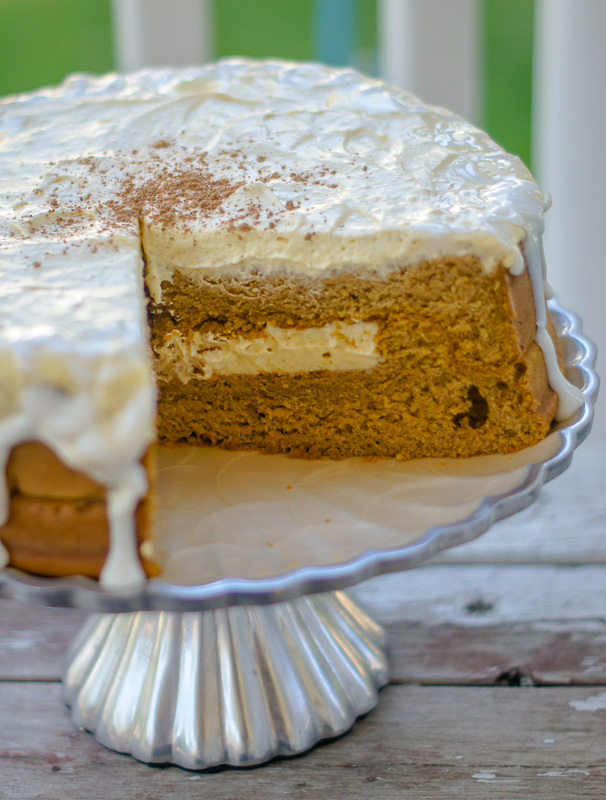 The easiest being to follow a box spice cake recipe, but add canned pumpkin and an extra egg. That’s all good, well, and fine except I love to make things from scratch when I can! *(this recipe used two, round 8″ fill-n-flip pans) <—click to see* from Bed, Bath, & Beyond. 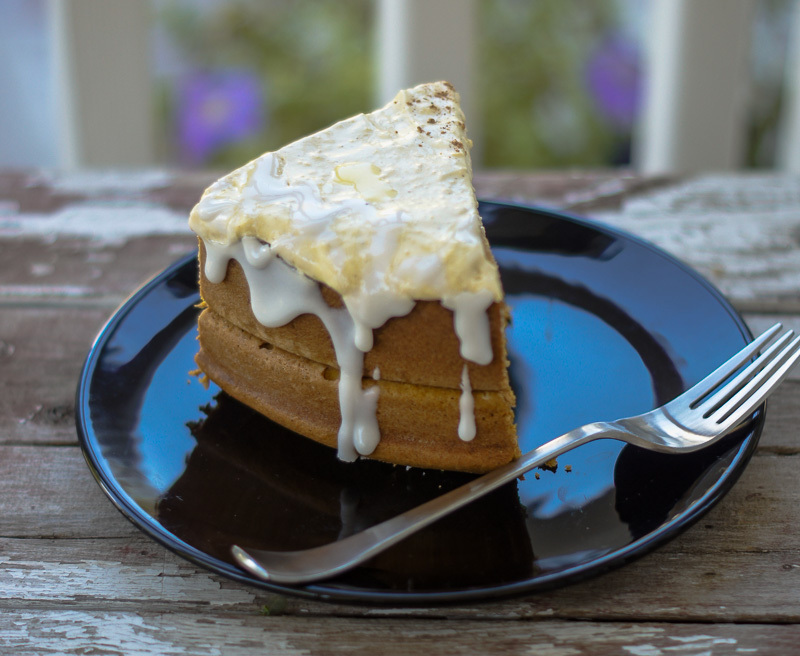 *Now, most of the time when you’re making cake, you want to cream the butter and sugars first, then add eggs, etc. 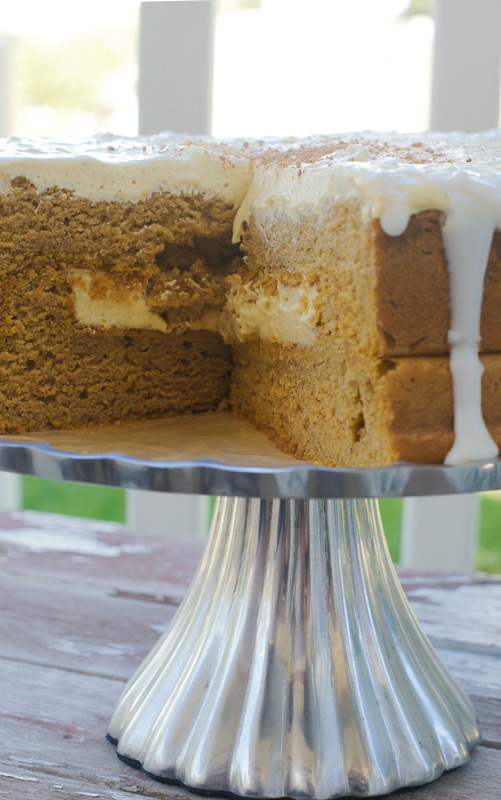 This method uses reverse creaming, which makes the cake turn out more dense, more like a pumpkin bread. The reason I chose this method is because I used a special fill-n-flip cake pan I got for my birthday. 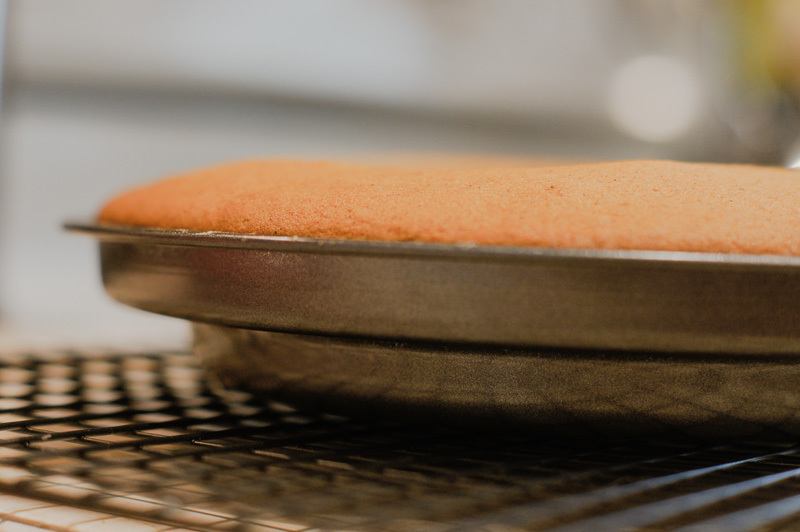 You can by all means use two round 8″ cake pans, but this special pan set allows me to fill the middle with a surprise filling! It’s made to fit the top over the bottom, like a puzzle. So awesome! NOTE*** This recipe will also fill three 8″x2″ round cake pans. You make have a little leftover. 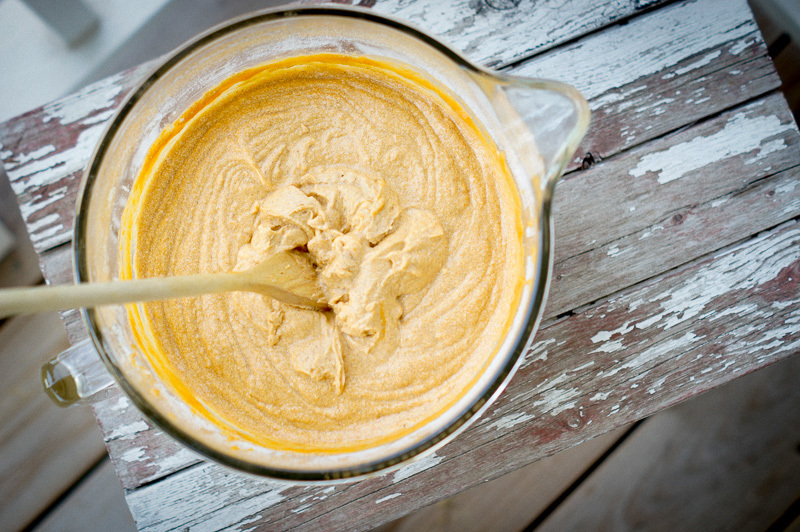 In another bowl combine the remaining wet ingredients–eggs, oil, pumpkin, milk and vanilla. Whisk until well blended and set aside. Gradually add about 1/2 of the egg mixture, beating at medium speed for 1 1/2 minutes. Scrape bottom and sides of the bowl. Add the rest of the egg mixture in 2 pourings and beating 20 seconds each. Basically, just add the rest of the wet ingredients a little bit at a time. Bake at 350º for 30 – 35 minutes. Let cool in pans for 30 minutes, then turn them out onto a clean surface. Putting them in the fridge will cool them faster. Pour pudding mix and milk into a large bowl and mix by hand with a spoon until combined. 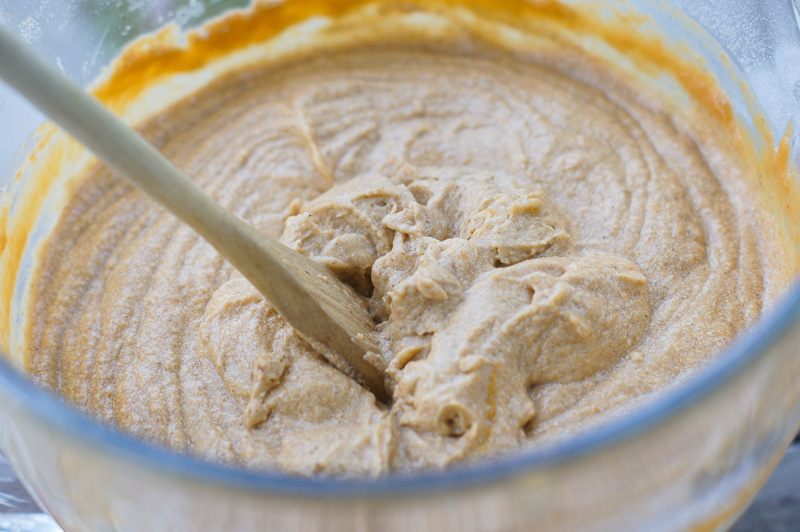 Add one extra ingredient at a time and use electric mixer to beat together, on medium speed. 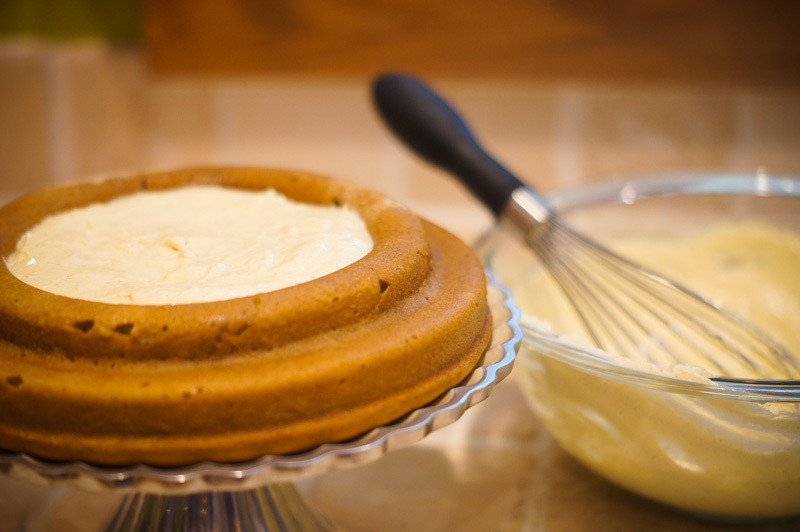 For a fill-n-flip cake, fill the bottom half with 1/3 of the filling. The bottom half will have a very obvious well in the center where to put the filling. Carefully set the other cake half on top. My top half ended up being too rounded because I overfilled the pan. I cut off the top with a serrated knife to even it out. You do not have to do this. 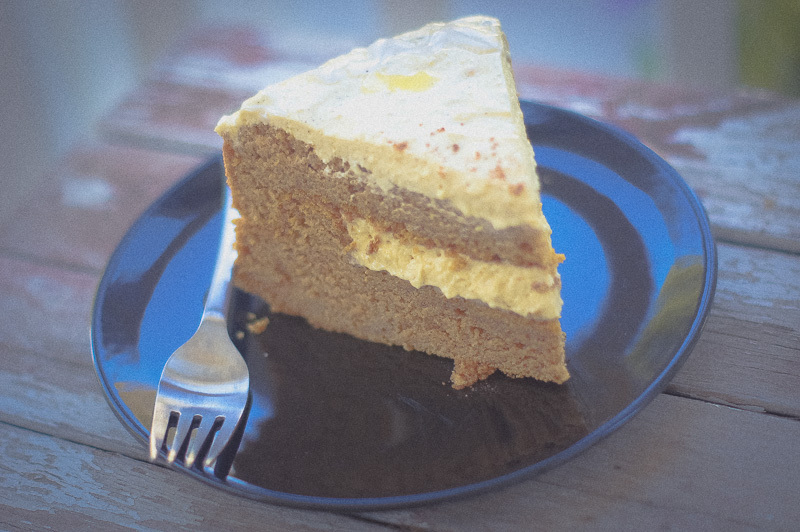 Very carefully spread the remaining filing onto completely cooled cake with a spoon. 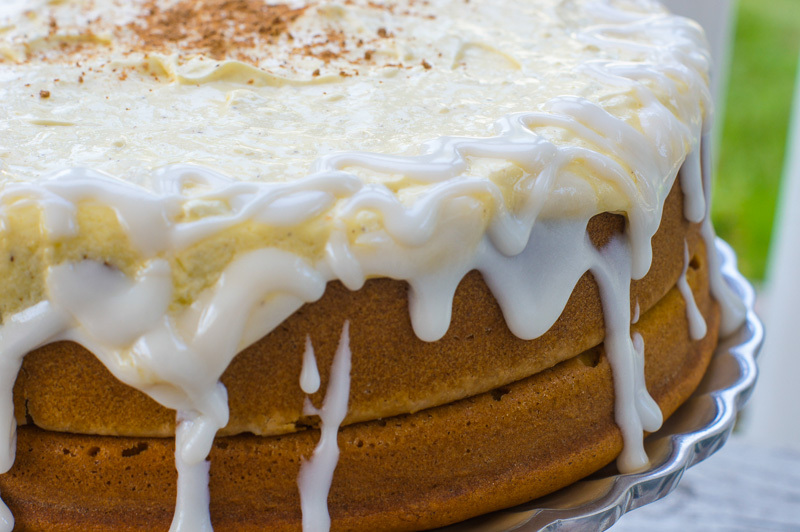 Drizzle with a spoon over the completely frosted cake. 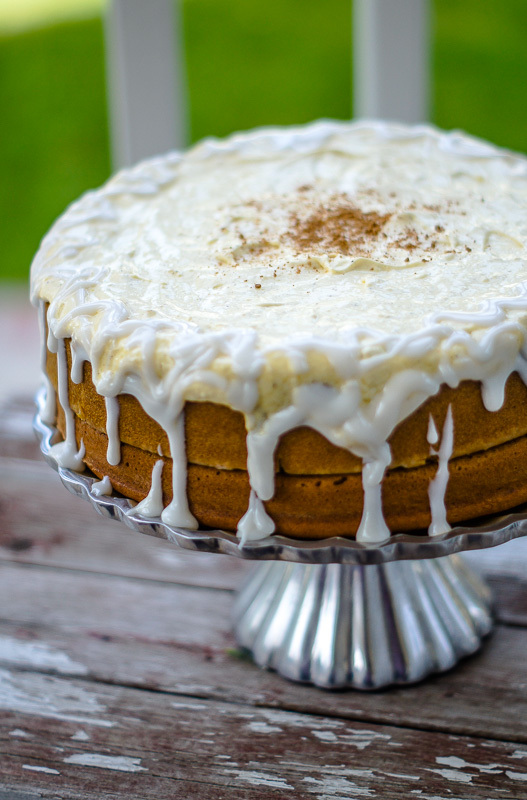 Top with a dash of cinnamon or nutmeg….or both! Yeah, I’m into fitness….fitness whole cake in my mouth!!!! My mom has a raisin spice cake recipe, and she would never share it with anyone. I have the recipe, and I made it once, and it was soooo heavy that I don’t know what I did wrong. I should try it again some time. This is the time of year for it. The frosting she had on it was delicious, too. Have a wonderful week teaching, and make more desserts when you can! Thanks for your response! I did go back and read your “note” that says it fills 3 8″ rounds, so there might be some left over. I actually put the rest of the batter into a loaf pan. I wasn’t about to let that go to waste 🙂 The cake was hit, I’ll be making it again for sure! The cake looks incredible delicious!